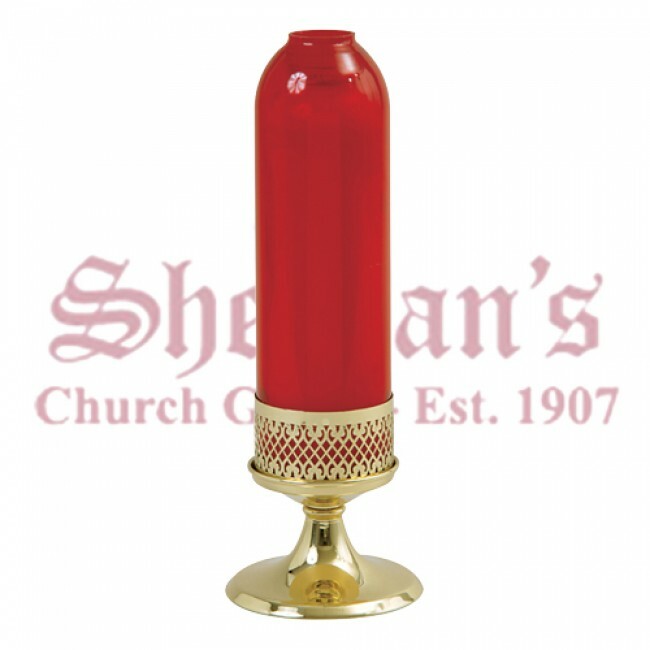 Bright Gold finish 14 Day Votive, 6" high and 5 _" base. Elegant 14 Day Votive Stand in Bright Gold finish the measures 6" high and 5 ½" in base comes with red glass globe. The beautiful stand has a plain base and filigree top. Ideal for devotional use at home or at church.